Everything you will need during the course, except your personal items, is included in the cost. You’ll be provided a bunk, bedding, food, instruction, lively camaraderie and an adventure! The price does not cover your transportation to and from the program, and your personal items. We will send a full information packet which includes details on travel, packing, etc. Please do not purchase airfare until you are accepted into the course. Each crew member is expected to take part in all the daily responsibilities aboard including steering, navigating, standing watch, cooking, and anchoring, to name a few. And despite a full curriculum of daily lessons, practical skills training, and drills, we often find time for a dip in the chilly waters or a quick hike to stretch our legs. All our courses are ideal for people of all levels who want to prepare for anything from weekend trips to long term cruising. Many students see the word “Bay” or “Coast” and feel they are too advanced for this course. However, it is a challenging program… and remember the coast is where all the action is: heavy commercial traffic, rocks, tides and currents! 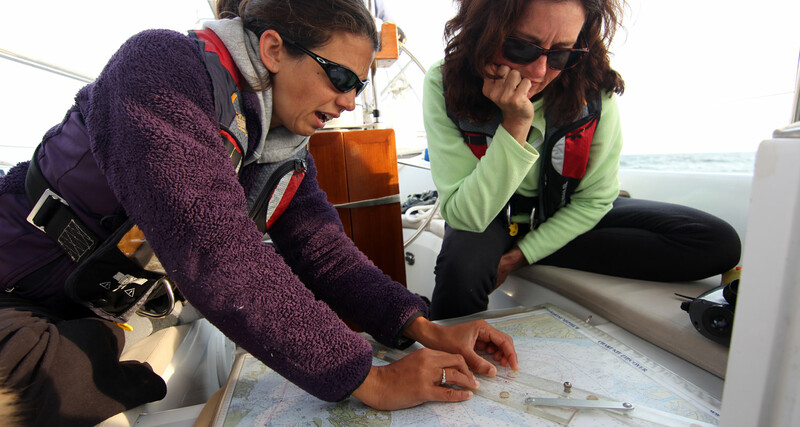 We have chosen some of the most difficult areas to sail in the US, and on days when the weather doesn’t challenge you, we will “stir the pot” with a few drills and scenarios. Most coastal sailors stay in the harbor when the weather is tough. However, we do not shy away from rain, wind, night travel, or fog. We don’t just sail on the fair days, but we aren’t fools either. 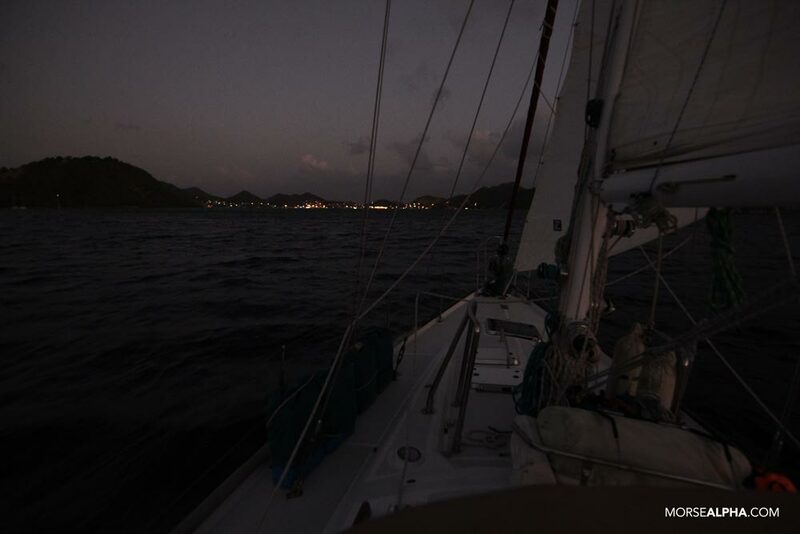 If dangerous weather is approaching, such as a hurricane or lightning, we will seek a secure anchorage – which will give you the opportunity to stand anchor watch in a crazy storm! But don’t let that discourage you either. New England and Mid-Atlantic weather is so varied that we expect each course to be a mix of fair sunny days, fog, rain, strong wind, and light air. 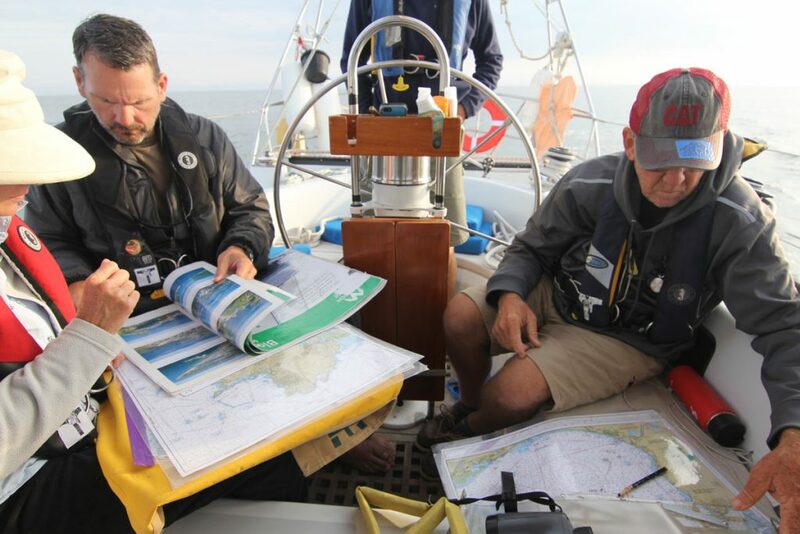 Depending on your level, and the course you are placed on, some activities could include fog navigation, night travel and anchoring, heavy weather tactics, engine maintenance, route planning, understanding weather, etc. 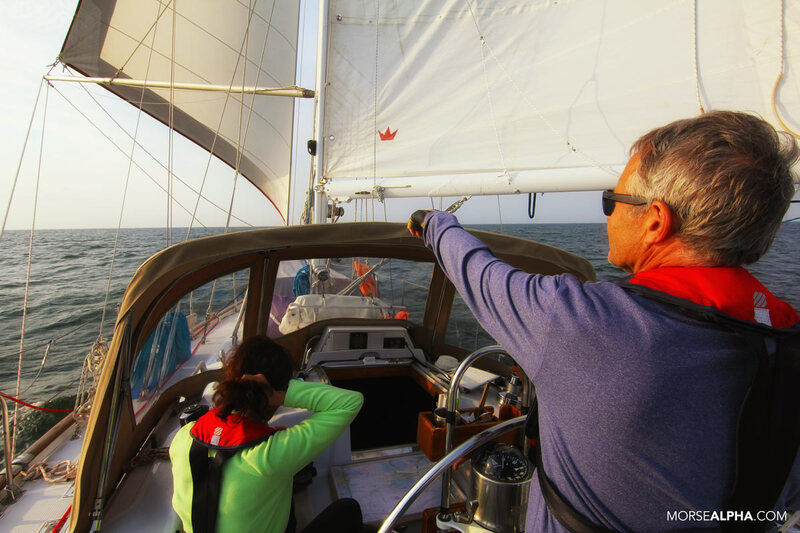 If you are planning to cruise long distances, our course is ideal.